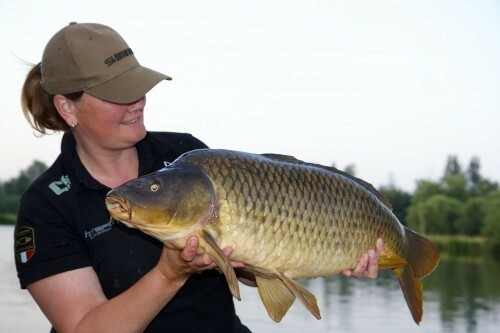 A carpfishing weekend on 'De Karperhoeve'! At about 1.5 hour drive from Utrecht (only 160 miles from Calais) in the Belgium Oosterlo, you will find the estate 'De Karperhoeve'. Travel agency The Carp Specialist invited us to fish a weekend on Timmy's Lake, where we've fished 2 nights at the 16 acres lake. The lake was fully netted last winter in order to remove all bream and catfish, and ensure the best conditions for the carp. 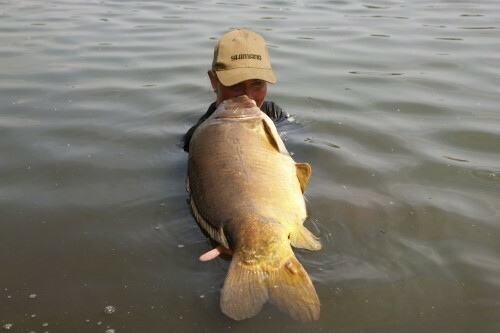 Now, at least 5 carp over 45lb and at least 30 carp over 33lb are known... a good chance to catch a big carp! 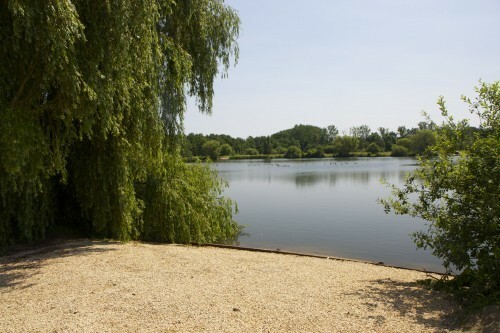 The 6 lakes at 'De Karperhoeve' are 30+ acres in sizes. Gio's Lake is unique, it's the only specimen catfish lake in Belgium. Tine's Lake is a runswater, which was instantly seen when we arrived. Shana & Kevin caught a nice carp and a big sturgeon in only a couple of hours after arriving. Great to see their enthusiasm, and they celebrated the catch of a new Personal Best! The owner of the lakes is very careful with his fish. A tripod, unhookingmat and landingnet are supplied. No more stinking nets in the car, and each swim also has its own bin: nice and clean. 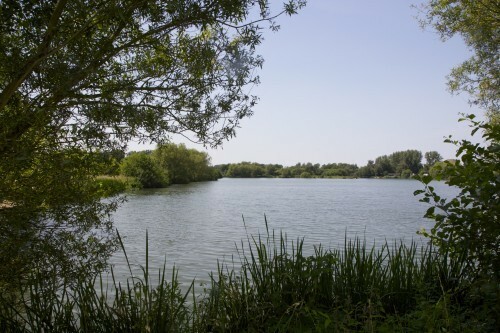 The swims are well spaced and designed and offer sufficient space for 1 of 2 anglers. Each swim has multiple hotspots like bushes and gullies, plateaus and bars. 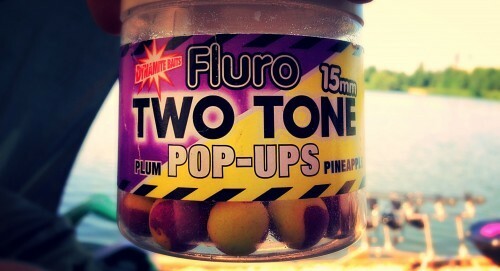 Timmy's Lake invites the carp angler to be creative and work for his catches. It's very important to get a good view on the depths in the swim. The lake bottom is covered in a layer of silt, as Timmy's Lake once was a swamp. The use of light leads, long supple rigs, sit-up-and-beg, whitypool-, zig- and chodrigs are a good choice as far as we're concerned. It was fun to experiment a lot with rigs and set-ups this weekend. Active fishing is highly recommended. Due to the fact the water is quite clear and the fish are quite pressured, camouflage of the rig and mainline are important. The carp are not that easy to catch! For us, the first night stayed calm... only some small beeps. All other anglers blanked too the first night, probably due to a sudden change in weather conditions. We tend to see that it always takes some time for the carp to adapt to the new conditions. We enjoyed the show that the fish gave that evening: the jumped and crashed often. Seeing that, makes a trip to 'De Karperhoeve' also worthwhile. The next day, Lizette caught a 31lb mirror carp after a spectaculair fight! This fish put up a great fight and gave a good run. At first, we were thinking that she hooked a catfish. It took many feet of line, and tried to reach and branch during the fight. Fortunately, our materials are ready for that. I made a video of the fight, and Kelly and Priscilla (who fished swim 8 and caught a 37.4lb already) helped Lizette to land the fish. After some good effort to find an interesting bottom feature, we found some more good spots on our swims. This proved to be succesful, as we managed to land a lovely 24.5lb common carp from our new spots. It was also a very powerful fish that gave us a good fight. I was very happy to be able to catch this one! 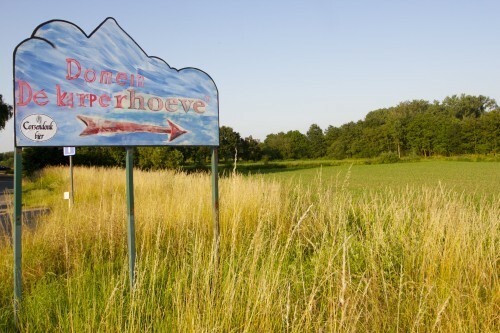 'De Karperhoeve' is a nice fishing estate that offers a unique combination of challenge, fun and sport to each angler. Trout, sturgeon, catfish and carp... all is possible. Fishing Timmy's Lake is a challenge: a good choice for anglers that like to work for their fish and experiment with rigs etc.. 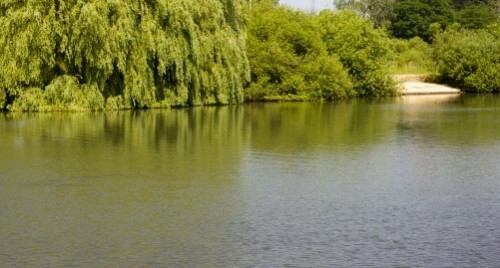 The lake has a soft bottom and clear water, it's shallow and the big fish are feeding carefully. The lake also has a big koi as a resident, although often spotted, it is not caught yet. We truelly enjoyed our weekend at Timmy's Lake. Go for it!